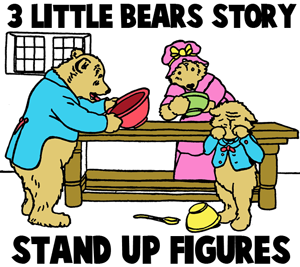 Grrrrr....bears love to growl, but they also love to eat honey and oatmeal, at least in some of our favorite children's book stories. Bears are also beloved because we grow up hugging them; teddy bears are so loveable and cuddly. 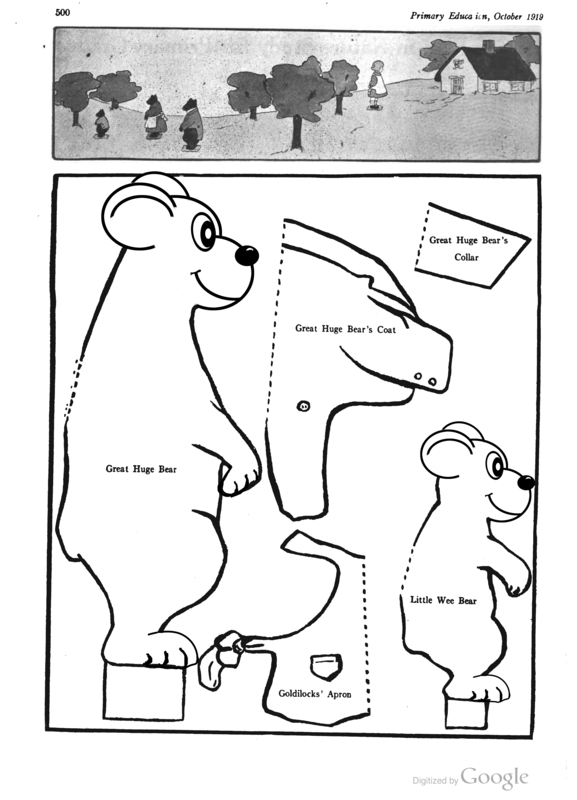 So it is only natural that we would want to make craft bears and teddy bears. They are so much a part of our lives. We can make adorable little craft bears out of paper, fabric, yarn, felt, or even crafts foam. They are so many ideas that are on this page, and I know you will love them. 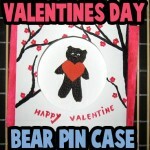 Many of these bear crafts come from our own site, but some of them are from other great crafts sites. Have fun crafting teddy! If you like the 3 Little Bears Story...the one with Goldilocks....then this is a great craft for you and other kids your age. 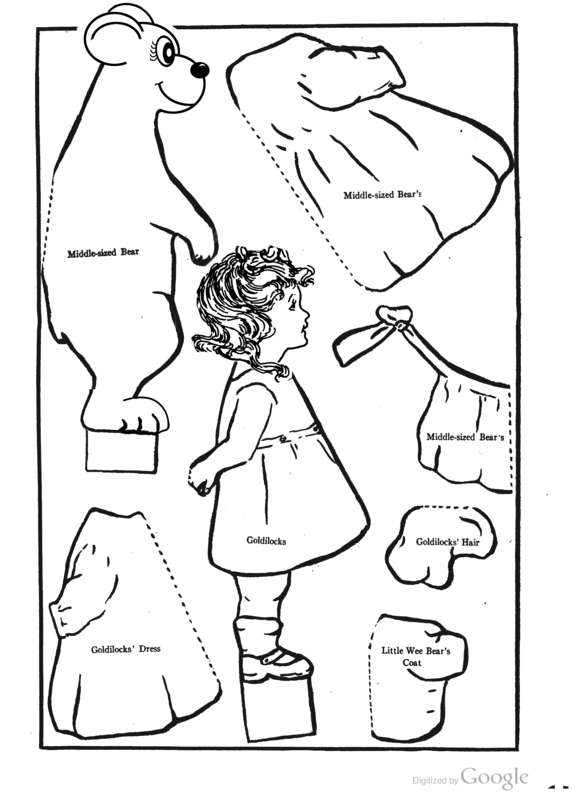 This is a craft to make paper stand-up figures of all the bears (Papa Bear, Mama Bear, and Baby Bear) and of Goldilocks...the little girl from the story. These are sort of like paper dolls...you can dress them up in clothes and play with them like little figures. Print out them here...and then color them in and play with them. Page 1 .. Page 2 ... Page 3. Aren't these spool teddy bears adorable? Do you want to make one...they aren't too difficult to make. You will need an empty spool...and if it isn't already tan or brown, you will want to paint it and let it dry completely. Then paint 'W' shaped paws, except the 'W's have one extra zigzag. 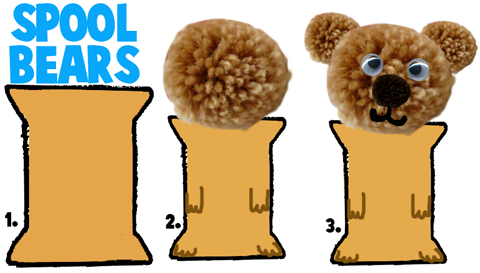 Then glue a large brown pom-pom head on top of the spool, as seen in illustration #2 above. Then add 2 medium-sized brown pom-poms on either side of the head for ears. Add googly eyes as well. Add a small black pom-pom under the eyes for the nose. Glue black yarn under the nose to look like a sideways #3. Now let dry completely and you now have a cute little bear. To make this paper bear mask, just print out the bear mask template and follow the directions on that printed page. How to Draw Cartoon Koala Bears - Learn how to draw koala bears. How to Draw Teddy Bears - How to Draw Cartoon Teddy bears with easy step by step lesson.